There’s absolutely nothing normal about the browser RPG Kingdom of Loathing — and that might be exactly what keeps the player base coming back despite remaining in “open beta” since its release in 2003. The player is charged with the task of rescuing King Ralph from the prism in which the Naughty Sorceress has imprisoned him. 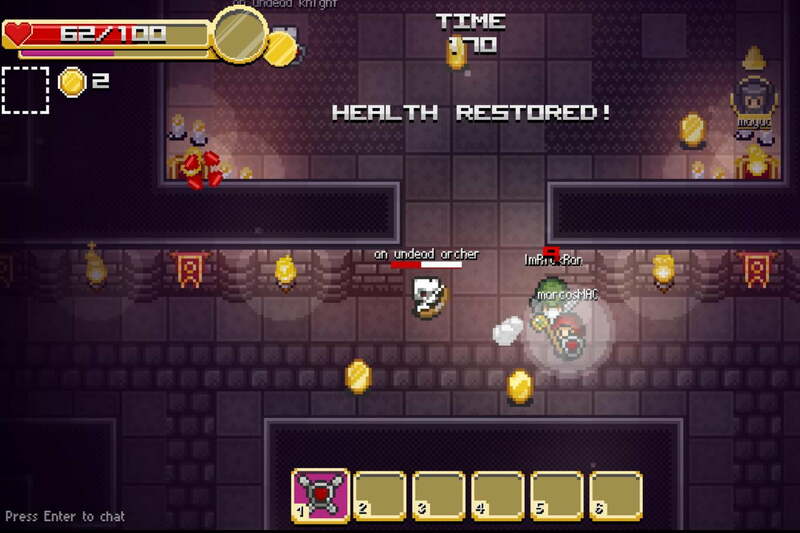 After freeing the King, the player is then given the option to “ascend” and begin a new game with limited access to previously acquired items and abilities. The game’s immense world is almost entirely populated with simple stick figure drawings, with a story built around tongue-in-cheek references to pop culture, other RPGs, and the occasional groan-worthy pun or intentional misspelling. At its core, Kingdom of Loathing is a smart and well-built RPG that allows you to choose from “classic” classes such as the moxie-based disco bandit, the pasta-flinging sauceror, or the club-wielding turtle tamer. The currency, meat, can be spent in the player-run mall or smashed into meat paste for crafting new items and equipment. The multiplayer world also allows for a lot of unique interactions between players, such as those in which you host your own store or play the lottery directly against other players. After all, you have to spend that hard-earned meat somehow. A subversive twist on the stealth-based games such as those in the Splinter Cell franchise, Nothing to Hide boasts both originality and engaging gameplay mechanics, as well as innovative and impressive use of the new features of HTML 5. The story is enchanting and well-told, relying on simple art and interactions to create a tale revolving around secret political elections, constant surveillance, and fear. It showcases a better plot and art than most games on our list — and to be honest — most games you’ll currently find on next-gen consoles. Each level adds new elements and restrictions into the mix as well, increasing the tension and danger in order to propel the story along. 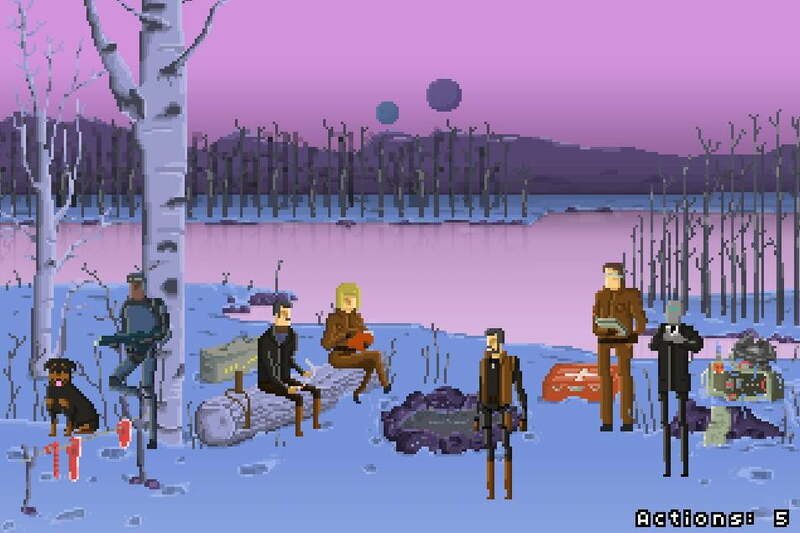 Created as part of the Ludum Dare game-making competition, Gods Will Be Watching follows the contest’s theme of simplicity. The entire games takes place on a single, pixelated backdrop, with only a host of simple actions available at your disposal. You play as Sgt. Burden, whose crew was ambushed while researching a deadly paralytic virus. You have 40 days to survive, fix your radio, and signal your convoy for pickup before things go sour. The game is completely reliant on the decisions you make and your basic interactions with other crew members — ones that inevitably lead to the virus falling into the wrong hands if you fail. 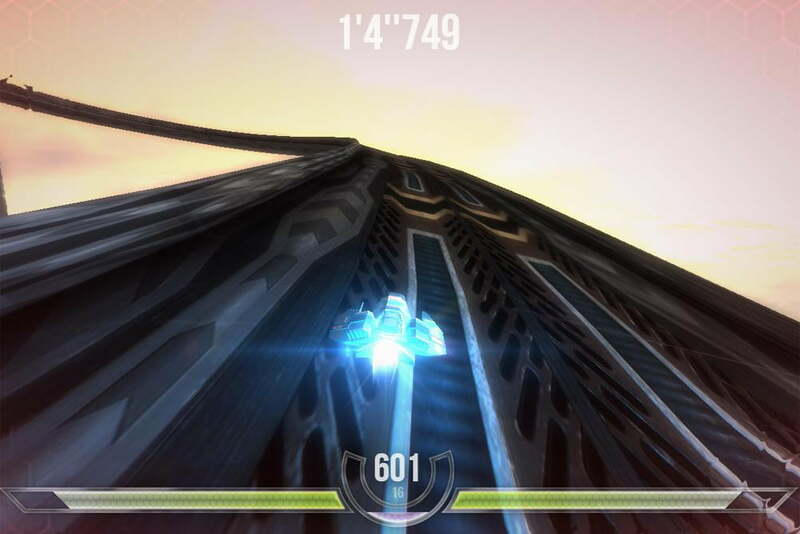 The HTML 5 engine is robust and capable of creating graphically-intensive 3D games, as demonstrated by Hex GL, a futuristic racing game created with games like Wipeout and F-Zero for inspiration. The game requires you to manage the speed of your floating ship as you work to avoid walls on tight turns, with an option to boost on straightaways if you hit the right panels. A computer science student recently created the game for fun, but since its initial debut, it’s gone on to become a prime example of what can be done graphically with the new HTML 5 standard. And believe it or not, it’s totally unlike what you’ve played in your browser before. 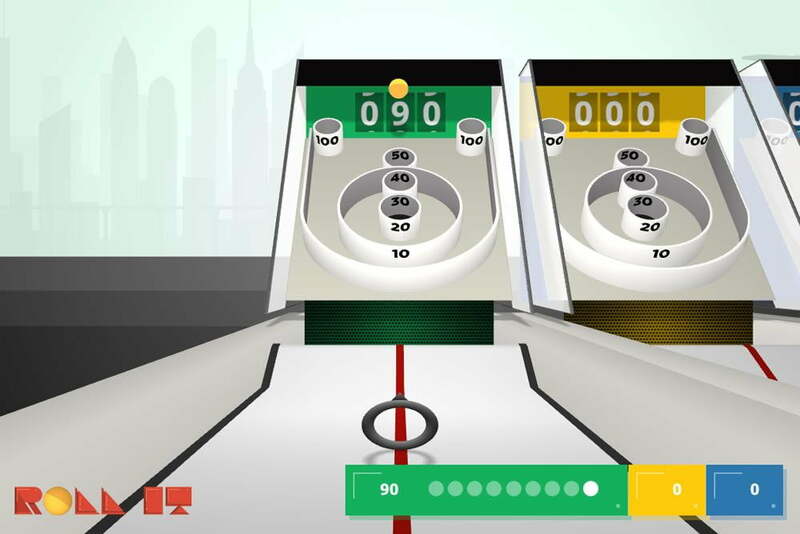 Part of the world of Google Chrome Experiments, Roll It brings the fun of carnival skeeball right into your home, using your accelerometer-enabled smartphone as a controller within your Web browser. Pairing your smartphone with your desktop browser is easy, and once you’re up and running, you can even play with multiple people to unlock powerups and special modifiers as you progress through the game’s various levels. 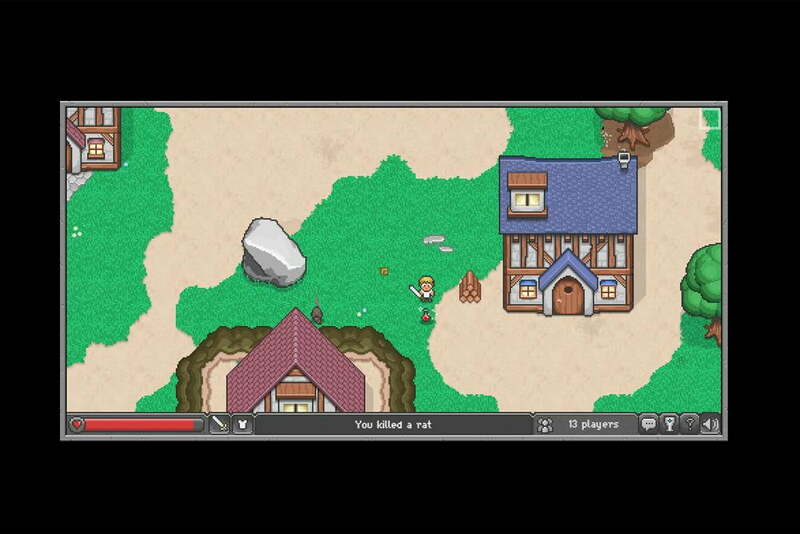 The gameplay isn’t as smooth as you might find on the Wii U, but it’s still a novel use of the Chrome’s capabilities and that of the HTML 5 Canvas. 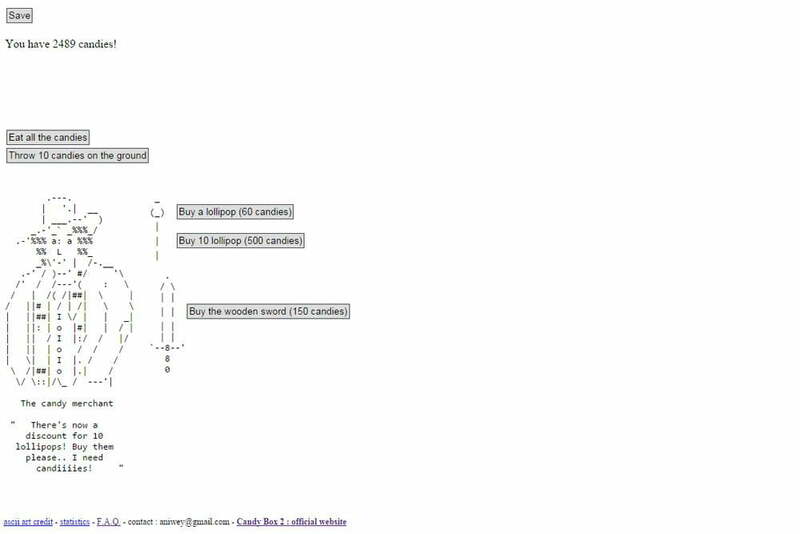 It looks nice, and moreover, plays well on a large number of browsers and systems. Don’t ask any questions, just start clicking cookies. What starts with a few grandmas making a dozen or so baked goods every minute quickly escalates, and before you know it, you’re using prisms to turn light into trillions of cookies per second. The game was originally created as a joke about the rising popularity of idle games that relied on waiting, social network integration, and pay-to-play bonuses for their popularity (i.e. Farmville). You start by clicking the cookie yourself, working hard and spending your baked goods on extra cursors and grandmas, and the rabbit hole only goes deeper from there. Despite having been around since August of 2013, Cookie Clicker still receives regular bug fixes and content updates. Developer Orteil has added dungeons and different types of building upgrades with the latest updates, along with seasons that appropriately correspond to the time of year. 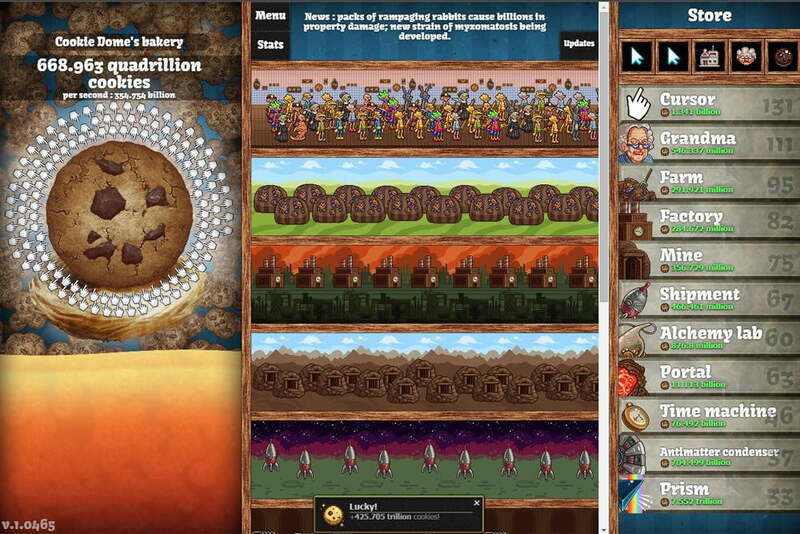 Cookie Clicker balances simplicity and engaging play perfectly, while still only demanding about the same mental commitment as biting your nails. This unique game is a fun blend of puzzle and mathematical gameplay, and it’s far more frustrating than it appears on the surface. When you push equal-numbered tiles together, they become their sum, in what becomes a repeatable process as you strive to create a tile with the value 2048 with limited board space. 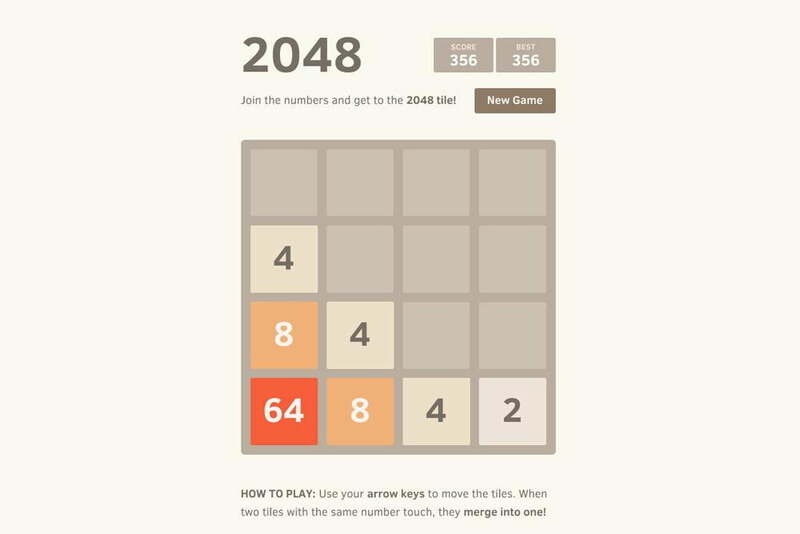 It may seem easy at first glance, but by the time you create a 1024 tile, you’re actually only at the halfway point to winning, considering you need to create another 1024 tile with which to pair it. There’s a myriad different strategies to getting the coveted tile, but no matter which you choose, you’ll likely find yourself at the whim of the tiles that randomly generate after each turn. 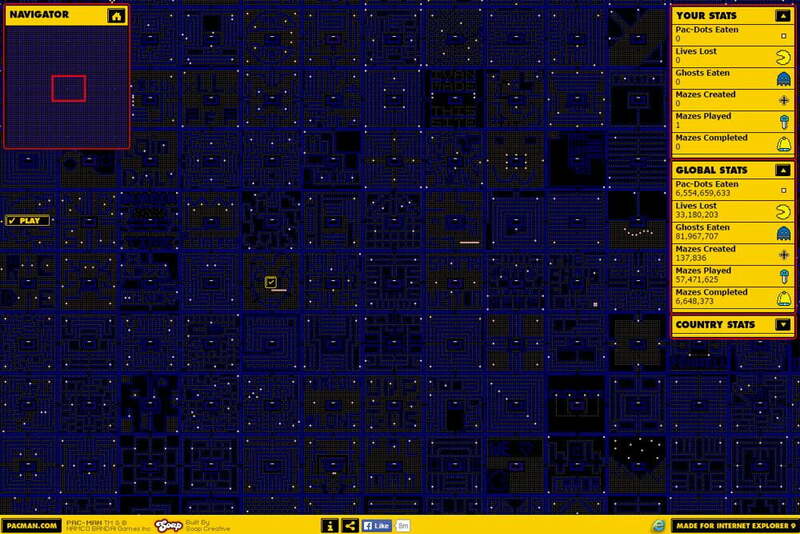 We’ve been playing the same Pac-Man grid for decades, so isn’t time for a little change? The World’s Biggest Pac-Man takes the classic gameplay with which we’re all familiar and refreshes it with the ability for players to add their own maps to a humongous, ever-expanding collection of user-created levels. The game also keeps track of interesting statistics, such as the amount of points earned and individual dots eaten, for each country and the entire globe. The gameplay is far smoother than the old arcade cabinet, with better collaboration mechanics and cross-platform compatibility. 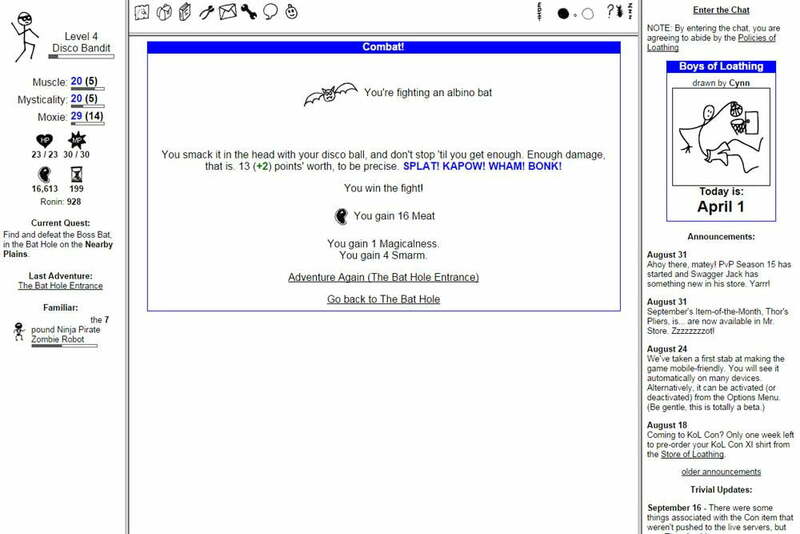 Before A Dark Room found considerable success as a mobile game, its home was the HTML 5 engine, which is a particularly useful system for creating text-based adventures. The game doesn’t offer much in the way of explanation, but figuring out what’s going on as you play is also one of the title’s biggest merits. It incorporates elements of idle gaming as well, with real-time cooldowns on actions such as gathering wood and checking traps, each of which helps you build additional structures that inch you ever so closer to your goal. Just make sure to keep the fire stoked and the room warm if you ever hope to uncover the secrets of this intriguing text-based game. 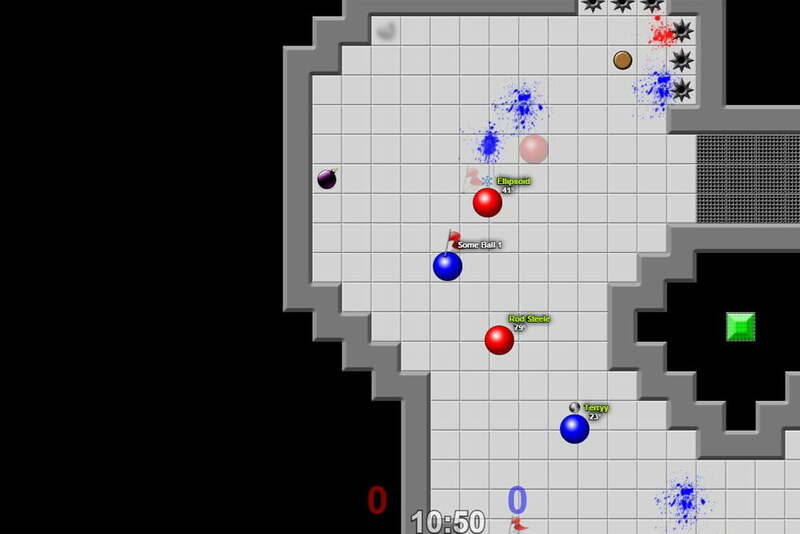 In a nutshell, Tag Pro is a fun and competitive digital rendition of capture the flag. Each player controls a rolling ball as it moves and collides with other players on a grid, so you’ll have to stay ahead of the enemy as your race to get the flag back to your base. The online play is as fast-paced as it is addicting, and a growing community has sprung up around the game, opening up the possibility of serious competitive play and pre-made teams. The HTML5 engine makes online play exceptionally easy as well, with a number of servers scattered about North America to ensure there’s little in terms of lag when the game gets intense. Though Tag Pro requires split-second timing and mad juking skills, it’s more about teamwork and coordination if you’re really looking to win. Because it was created by Mozilla to show off the capabilities of Firefox and other HTML5-enabled browsers, Browser Quest doesn’t win any points for originality. Although the role-playing game takes a cue from landmark titles such as the Legend of Zelda and Final Fantasy, it does an excellent job of showcasing the WebGL system and how well it works. There are NPCs to talk to, new weapons and powerups to collect, and the entire game is open-source if you want to try your hand at a little bit of WebGL coding. The classic look is clean and polished, and it’s even an MMO, showing you how many other players are in the game at all times. 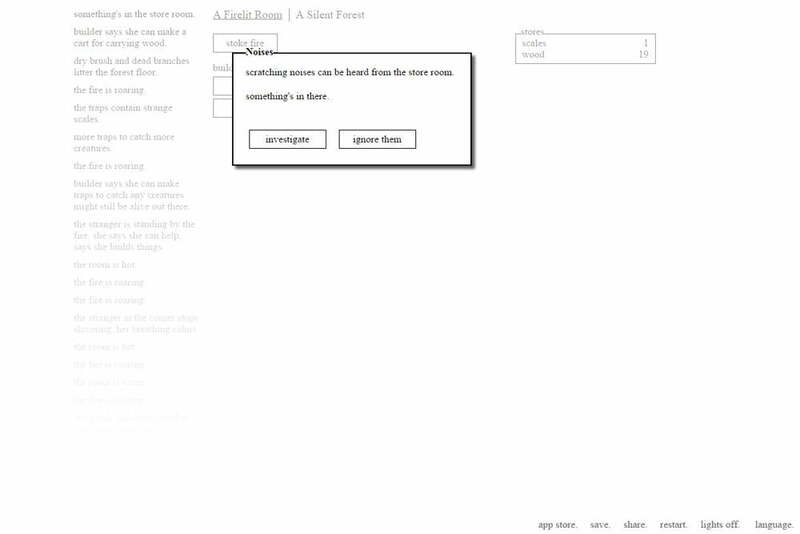 The text-based game Candy Box is a lot like A Dark Room, but far more strange. You’ll slowly receive pieces of candy, which you can either eat or throw on the ground in defiance. Over time, more options will become available based on how many candies you’ve eaten or thrown away, with an additional option to purchase lollipops that you can then grow in return for more candy. It doesn’t really make a lot of sense, but part of the game’s fun is simply trying to figure out what’s going on as you can progress. You’ll also receive candies and grow lollipops in real time, so you’ll have to leave A Candy Box running in the background if you want to capitalize on the full experience. 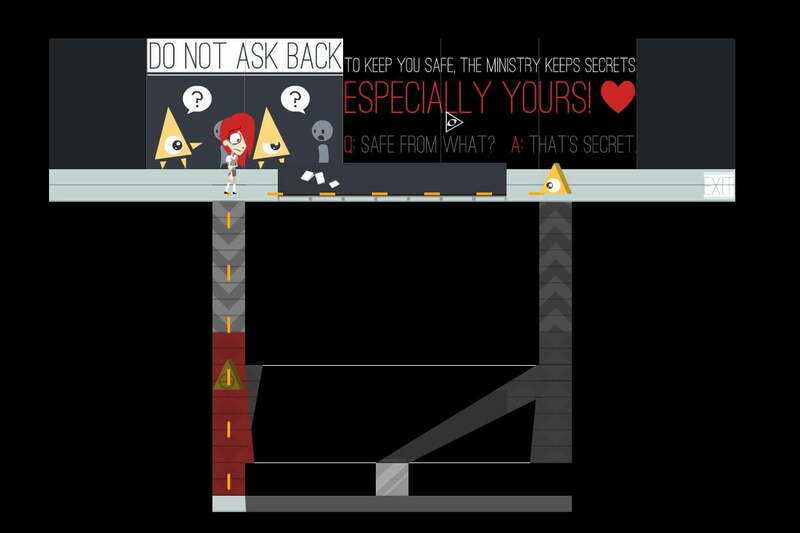 The puzzle game Entanglement may appear simple on the surface, but there’s a lot of depth and planning required if you want to succeed. Starting from the center, the player lays down tiles in attempts to connect a red trail through each new piece. The criss-crossing patterns are irrelevant at first, but as space turns into a precious commodity, the path will start looping back in on itself and you’ll have to be ready to accommodate the criss-crossing. 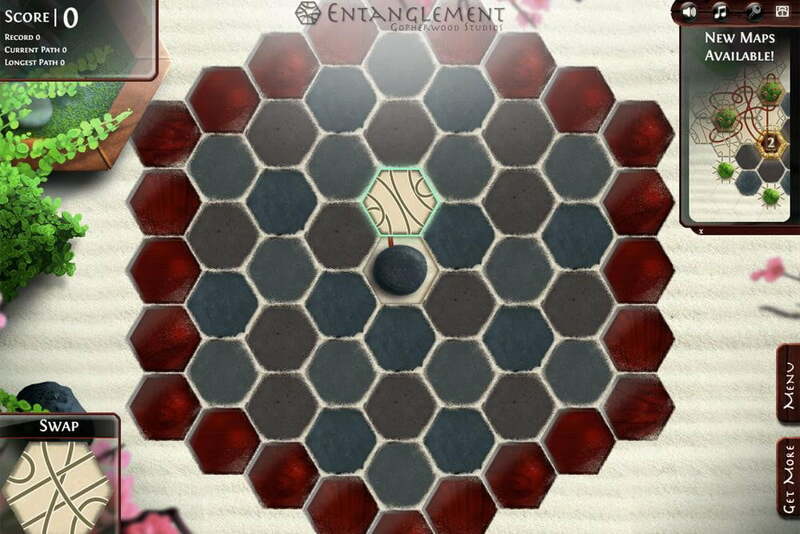 With multiple levels and stylish visuals, Entanglement is a great example of the power of HTML 5 and it’s ability to create lightweight and lively games. This fast-paced RPG/Action game looks great and feels responsive, especially considering how populated the screen gets when online. Your goal is to find the key and progress to the next level, or die horribly at the hands of slime or a bandit. You can gather gear, gain abilities, and play as one of multiple classes, with art that’s sure to bring you back to days of 16-bit gaming. Treasure Arena also incorporates a good deal of features you’d expect to find in a modern RPG, though, constantly encouraging you to return to level up and defeat new players. 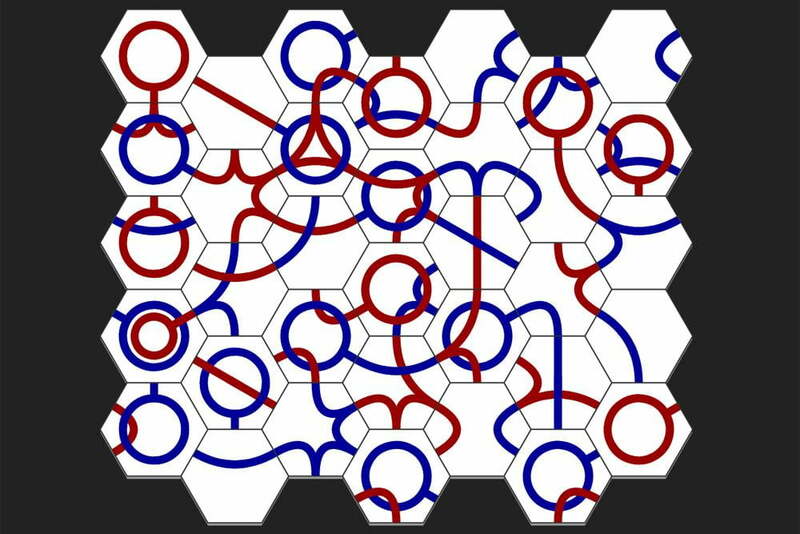 Operating like a much more complex version of the sliding puzzle, Curvy asks the player to create continuous red and blue lines that incorporate all of the tiles on the board. You’ll have to turn each piece and look at the big picture to complete the puzzle, and furthermore, there are a number of settings that affect the difficulty and nature of the board before you start.